Some of the food I cook is a little way out. Tonight’s offerings are a little like that. On the menu after eating out for the last two days are some lovely unusual side dishes! 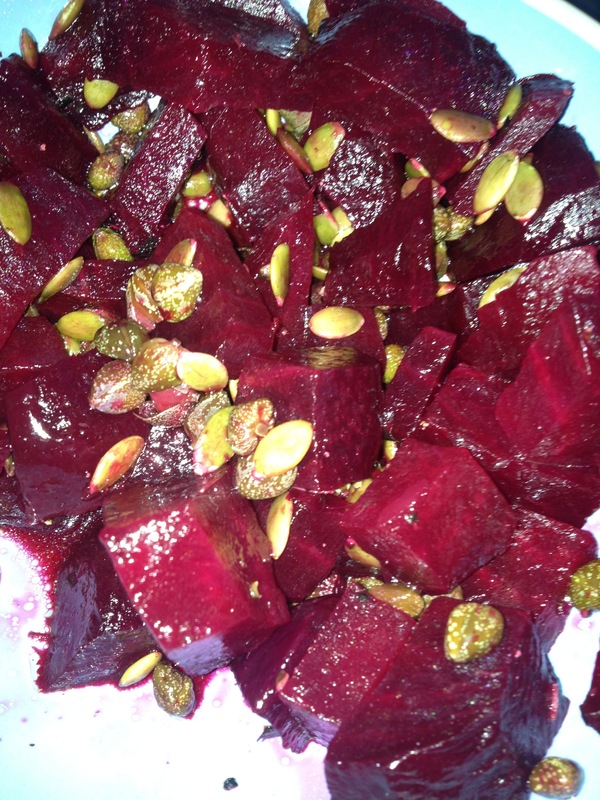 First up is a fresh beetroot with Capers and Pumpkin seeds. Lovely how the sweet beetroot and salty capers compliment each other. 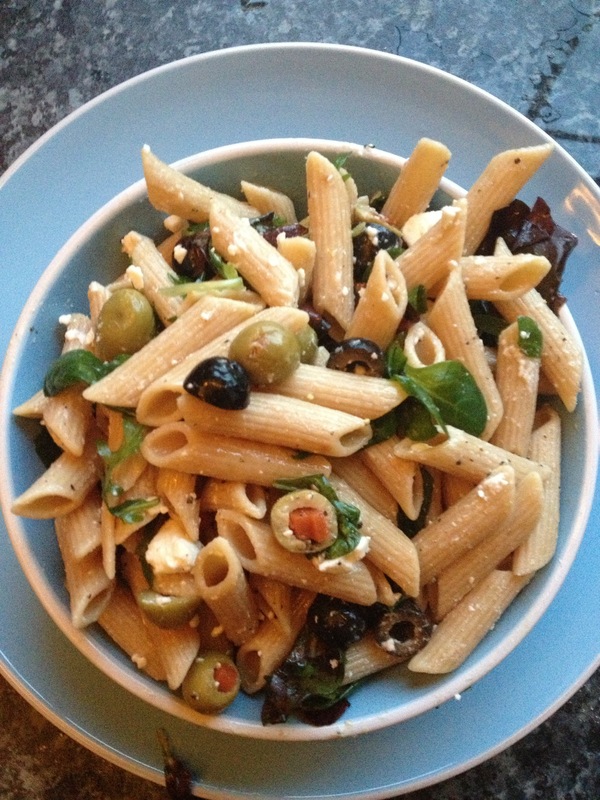 Next, is a wholemeal Pasta with feta and green and black olives with Green leaves. 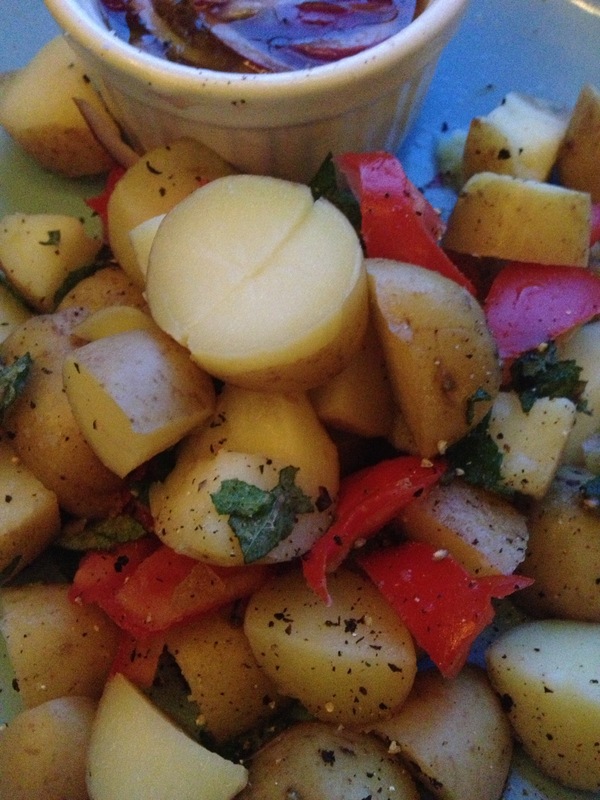 Next up is a Potato salad with Tomato, Red Onion in a minty, White wine vinegar Potion! That little mixture in the bowl is a mix of olive oil and red wine vinegar, ready to mix into the Potato mixture. I sort of like these cold side dishes but it isn’t hot enough in the Uk for me to eat a cold meal. I am serving this up with a Marks and Spencer vegetarian Kiev! I might just also enjoy sautéed new potato in butter and white pepper, with the left over potatoes! I love all these tasty mixtures and there will be plenty left for lunch. A lovely healthy change of feel good imaginative Food!